David Ayer has unveiled the first photo from his war drama Fury. 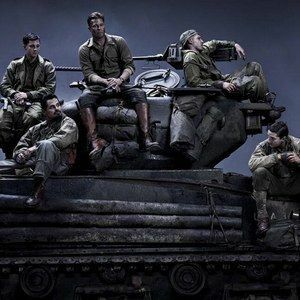 Brad Pitt, Shia LaBeouf, Logan Lerman, Michael Peña and Jon Bernthal star in the film, which centers on a five-man Sherman tank crew that are tasked with a deadly mission at the tail end of World War II. Check them all out in this first look. BOX OFFICE PREDICTIONS: Will Fury Overtake Gone Girl?